The Tennessee Titans are one of the teams that everyone will be very eager to see play at the start of the season. Whether they remain eager will depend on how the team plays. After being a dumpster fire for the previous two seasons, they showed signs of life last year. They even had a shot at the playoffs but missed out. Can they take a step forward this season? Or will it be another subpar season for the Titans? 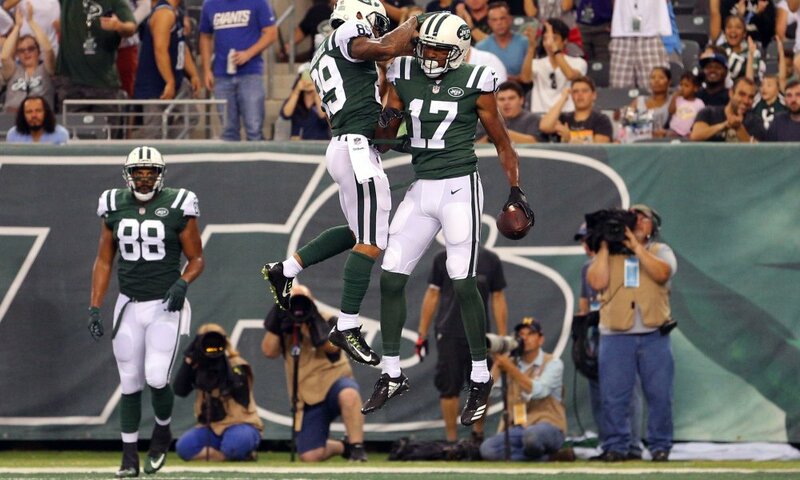 While the future is uncertain for the Titans, that is not the case for the New York Jets– or is it? They are expected to be a dumpster fire this season after dumping all of their high-priced talent in the off-season. But then the craziest thing happened. They won a game. 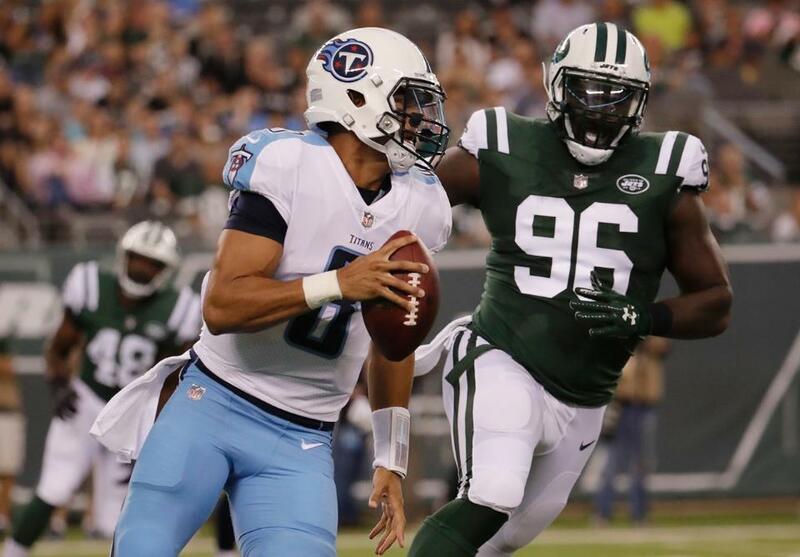 It was only a preseason game in which the Jets didn’t face the Titans best players, but a win is always something to be happy about—especially when your team is not expected to win too many this season. For those that care, the Jets won the game 7-3. But, like every other preseason game, what happens during the game is more important than the final score. Josh McCown will start the season for the Jets at quarterback. He isn’t great, but he is the best option they have. On his only drive, he led the team on the game’s only touchdown drive and completed three of four passes for 72 yards (and that touchdown). Christian Hackenberg looked better than he did last year during the preseason and he didn’t hit any reporters with an errant pass. On the night, he was 18-25 for 127 yards; not terrible, but not good either. If he can keep improving, he might be ready next year. Bryce Petty better make the most of what time he gets going forward. He didn’t see much Saturday night, and it was late in the game. But great players can make even bad ones look good. Instead, he looked just as bad as everyone he played with out there. Robby Anderson appears to be the Jets No. 1 wide receiver for now. The second-year pro had 42 receptions for 587 yards and two touchdowns last season. Saturday night he caught all three balls thrown his way for 73 yards (53 coming on one catch on the opening drive). The Jets defense is going to be pretty decent. They may be able to keep the season from looking like the Jets are tanking. Marcus Marriota played—and survived. He was not in for long and did not do much (2-3, 15 yards), but he played and even took a hit (sacked once). If they are going to win this season, the Titans need him to be better than he was before he was injured last season. Taywan Taylor’s 42-yard catch was a thing of beauty. But he only caught four of nine passes thrown his way for 56 yards. If he wants to get playing time in the regular season, he’ll need to gain more than 14 yards on three receptions. Preseason or not, there is no way an offensive line should ever give up eight sacks. Yes, maybe Alex Tanney could have gotten rid of the ball faster, but eight sacks—come on man. Tennessee’s defense wasn’t bad, but against an offense as bad as the Jets it would have been nice to have seen some bigger plays. Both teams will be back in action next Saturday. The Titans will host the Carolina Panthers at 3 PM ET. The Jets will travel to Detroit to take on the Lions (kickoff scheduled for 7:30 PM ET).